What can I say? I have truly been blessed to have such amazing clients and to be able to photograph them in the most beautiful locations and settings. One thing I can say is I enjoy my job and getting to meet so many new people. The best part is they allow me to peek into there family lives and allow me to capture their moments. Alot of them I get to see every year. To be able to see there kids grow... I love so much that there kids don't want me to leave after our photos are done. Our play date is something they enjoyed so much. 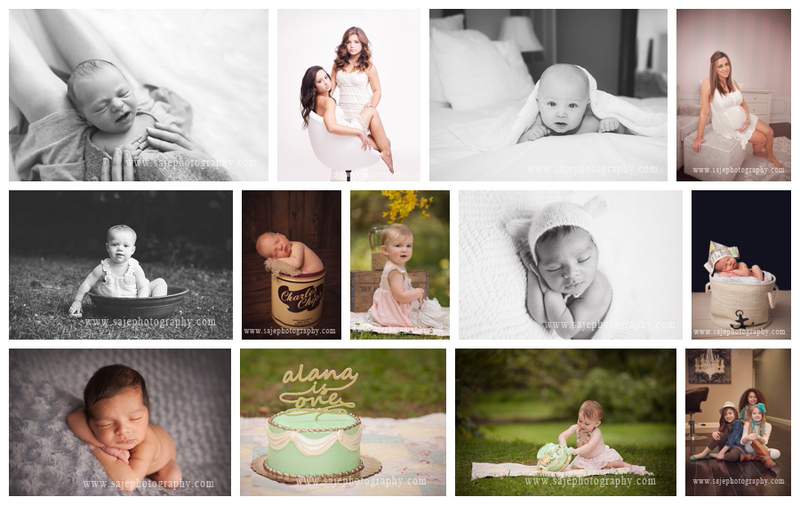 This was an amazing year of photographing amazing clients. To think this all started because almost 9 years ago I took classes on photography and wanted to be able to capture images of my children. So you can image my excitement to be able to capture mine and yours.. I really enjoy meeting all the mommies & daddies, my new and old families, and small babies who are now 1 yrs old and walking. I can't believe this year brought us over 147 sessions.. And still two more to go before the new year is done. I can't wait to meet all the beautiful newborns, children and families in 2015. Well, I LOVE Black Friday and wake up very early every year to get some great deals! I wanted to have a Black Friday Sale for all of my blog & Facebook followers. This deal is HUGE and you don't want to miss it! Use it for your self or a great gift for a loved one this season! 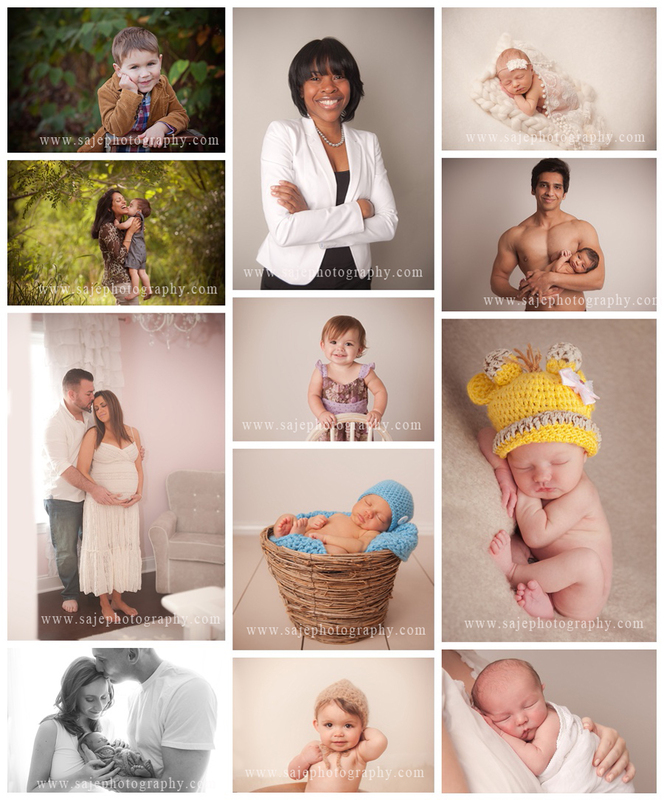 To make your purchase email me before Friday 11:59 pm with request to purchase a Newborn photography Portrait session. I will send you all information you will need to book with in the next 24 hrs payment must be made to book your session. 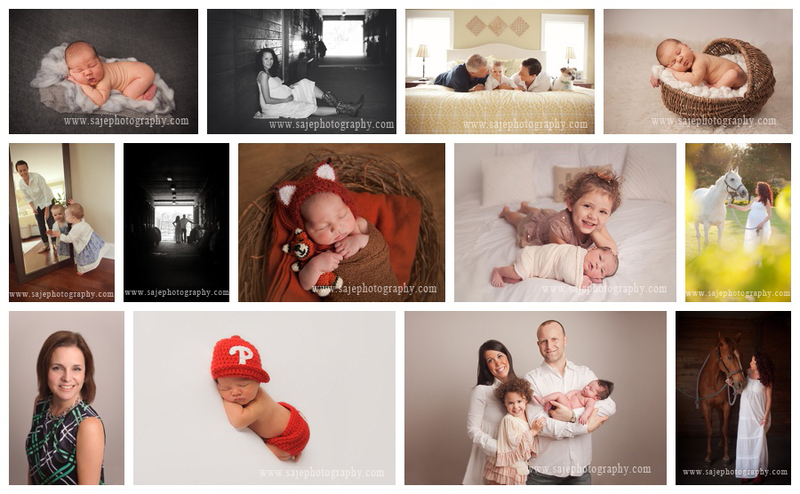 Saje Photography is located between Cherry Hill and Merchantville New Jersey and specializes in newborn and baby portrait photography. Our studio is designed especially with these little babies in mind to keep them warm and comfortable. 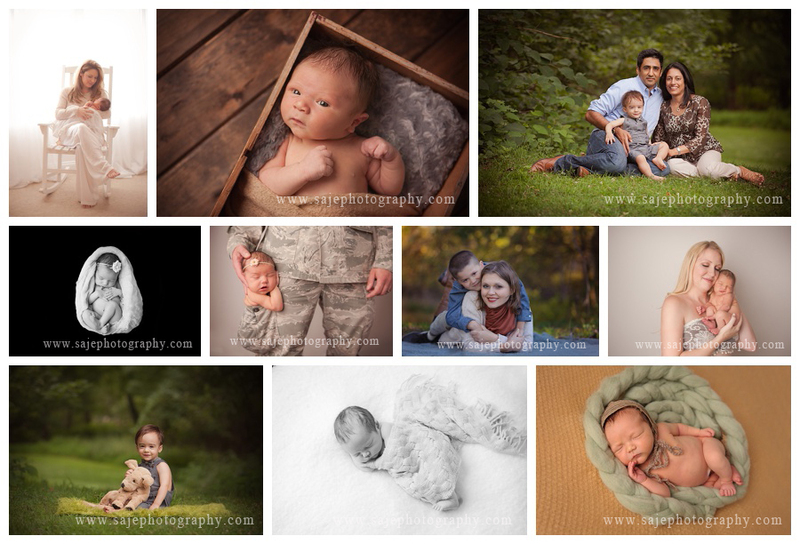 With 8 years of experience photographing newborns and babies, new parents can be assured that their precious new baby is in the hands of a professional that has spent years perfecting how to handle and pose newborns not only expertly, but safely. Every detail in each session is carefully planned to ensure the perfectly created images for you to display on your walls. Our Baby Plan members enjoy sessions as newborns, "sitting up" (6 months), and 1st birthdays. Let Saje share in this special time of your child's life. When I received an email from Soho Happening letting me know that I was just nominated of all of the hundreds of Photographer in New Jersey to be 2014 kid/child Top photographer I was truly Flabbergasted. Never in my live would I have thought that something I loved so much others would stand among my peers as the TOP. While I was very tickled at being nominated as Top Kid and Child Photographer never in a million years would I have thought that I would be awarded as the winner.. I remember I was here in my Cherry Hill NJ Studio Editing a session of a beautiful Newborn baby girl. 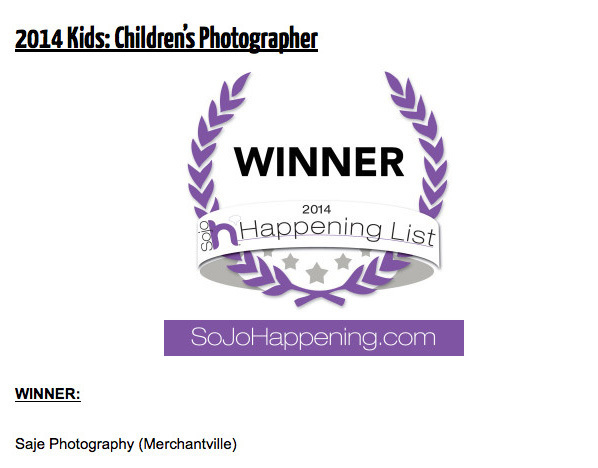 I was sipping on my coffee and checking my emails when I noticed a former client who I had the privilege of Photographing her beautiful family, she wanted to congratulate me on becoming the winner of 2014 SOHO Happening as TOP Kid and Child Photographer of NJ. I nearly chocked on my coffee. While I have always been a lover of my work(hehe!) weather it's Newborns, maternity, children, families or seniors. I Just have always been a humble person and still cant image it. It gives me the giggles just thinking about it, that this passion of mine that I call a JOB others love so very much. 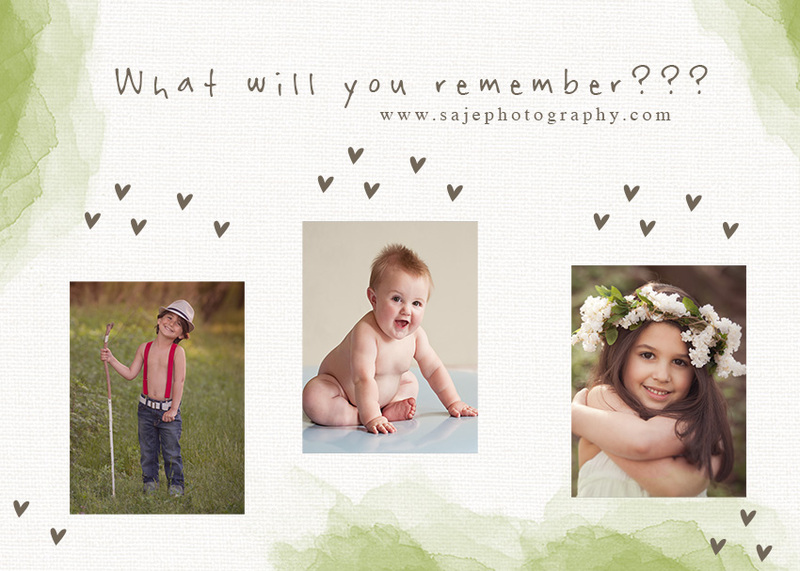 I want to Thank all of my past and present clients for using Saje Photography. I try to always to remember to capture your moments as if they were my very own family. Weather I do your session in my studio, in your house for a lifestyle session, on a Beach, or at a park.. I am always ready to capture they happy times in your family.. Check out my newest award badge. Thank you Soho Happening for awarding me the winner and any who voted for me. It's almost that time of the year and I have already been getting calls to get into our 2014 Fall Mini Session. 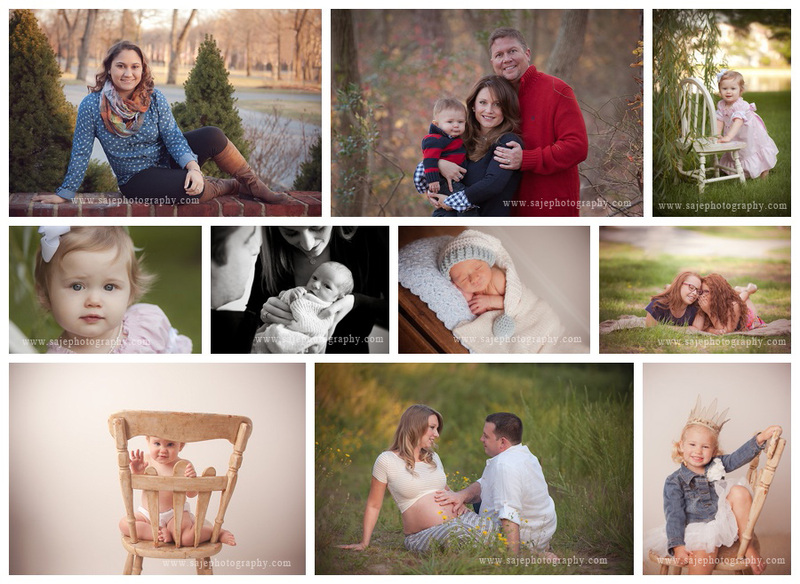 A) Mini sessions are perfect for families who would like updated portraits, but don't have time for a full session or maybe can't necessarily afford a full custom photography session. 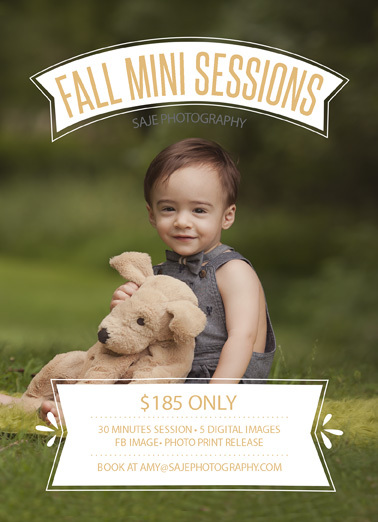 These mini sessions are usually booked with the end of the year in mind, since prints and canvases are great gifts for family members. 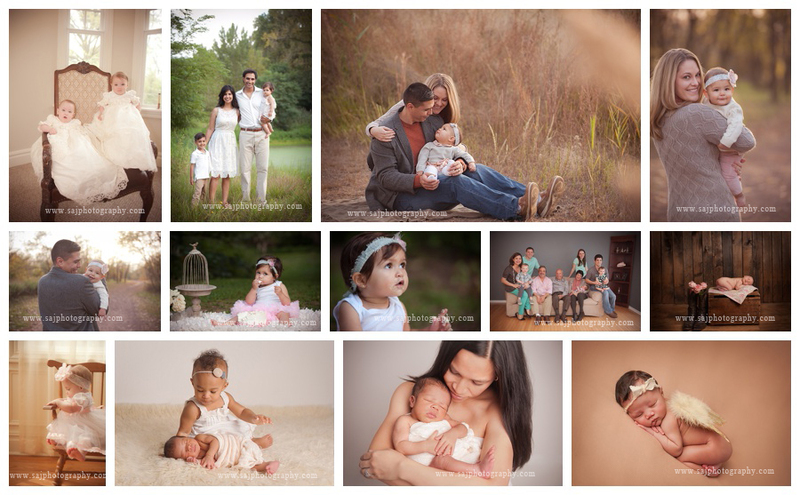 Mini sessions are open to: babies 3 months of age and up, children, couples and families. 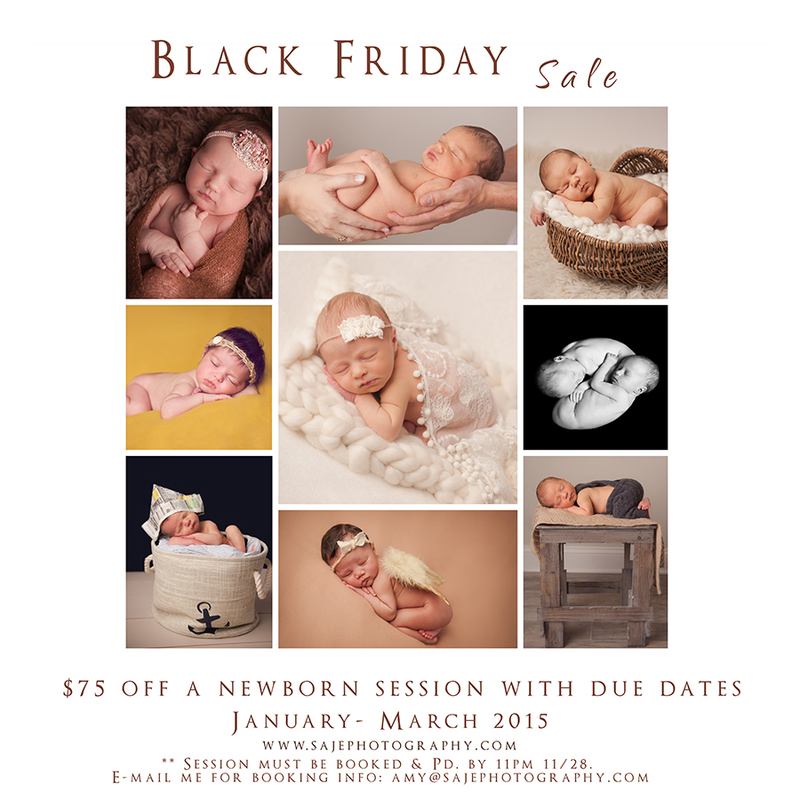 Mini sessions are not available for newborns or seniors. **SESSION FEE INCLUDES UP TO 4 INDIVIDUALS/PETS. ADD $15 PER ADDITIONAL PERSON. A) Our mini-sessions are 20-30 minute portrait sessions held only once each year (usually in the fall) in a specific location. 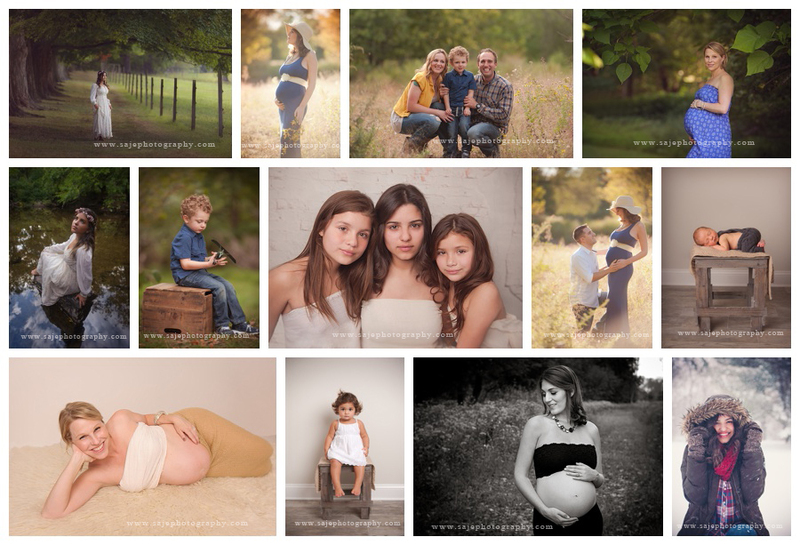 September 21st fall mini sessions to be held in nature setting within Merchantville/Cherry Hill area from 2-4pm. 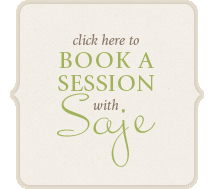 Q) WHY should I use Saje Photography for mini sessions this fall? A) If you're anything like us, you have a very busy fall calendar and crossing "family photos" AND "holiday cards" off your list would bring a huge sigh of relief! Think 30 minutes might not be enough time for you? Trust me, we're really awesome at getting beautiful images quickly! I have been doing this for a long time and have found that 30 minutes is really all we need to nail it. In the event of rain, sessions will be rescheduled at photographer's convenience, but every effort will be made to have session on planned dates. Sessions are short - please be on time! Military discounts do not apply to mini sessions. 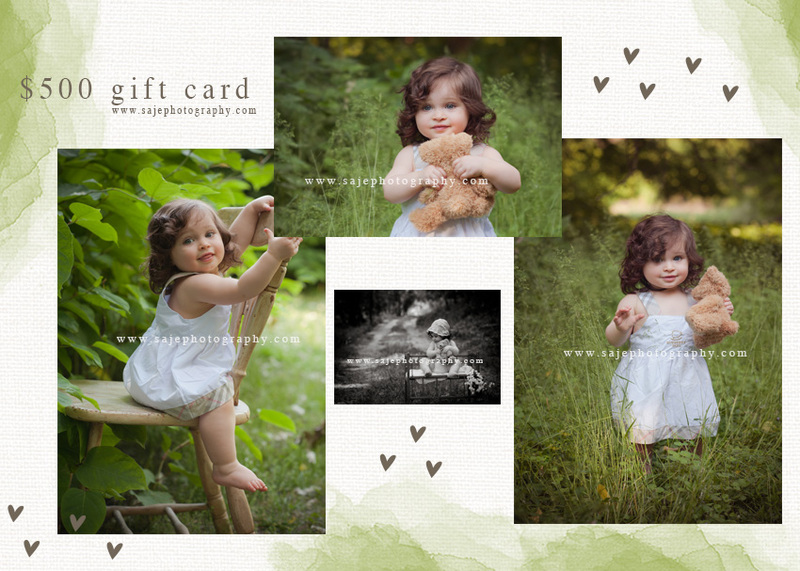 Also, in order to keep the mini session fees low, all images will be delivered via Dropbox rather than a disc. (Though you may opt to purchase a disc for an additional fee.) Images will be available for viewing and selecting within 2-2.5 weeks of the session date. **Re-shoots are always available if you're not in love with your images. However, all images from the previous session will be deleted upon scheduling a new session. No additional purchase is necessary, but you'll receive 10% off additional purchases. * Photos will be accepted from 12:01 am March 17, 2014 until April 1, 2014 at 11:59 pm. 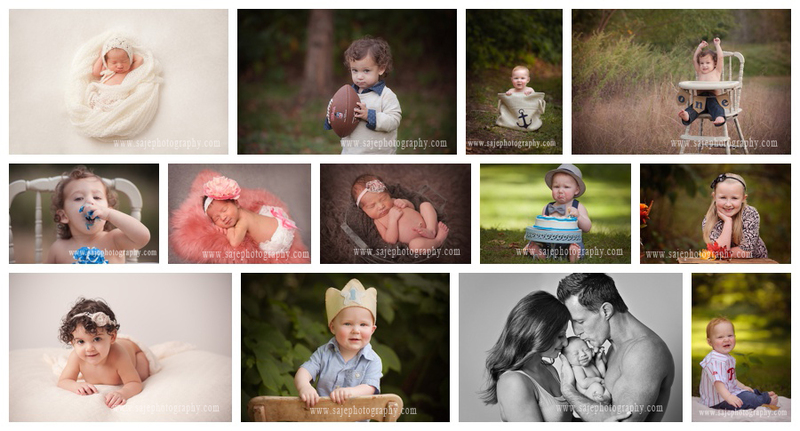 * All entries will be uploaded into an album by Saje Photography entitle "Cutest Kid 2014"
* Click "like" for the photo you are voting for in the Saje Photography album labeled "Cutest Kid Photography Contest 2014"
If you are looking for a New Jersey Child, baby or Newborn Photographer, be sure to check me out! If you are planning to book a session, please be sure to pre-book . . . especially those newborns!